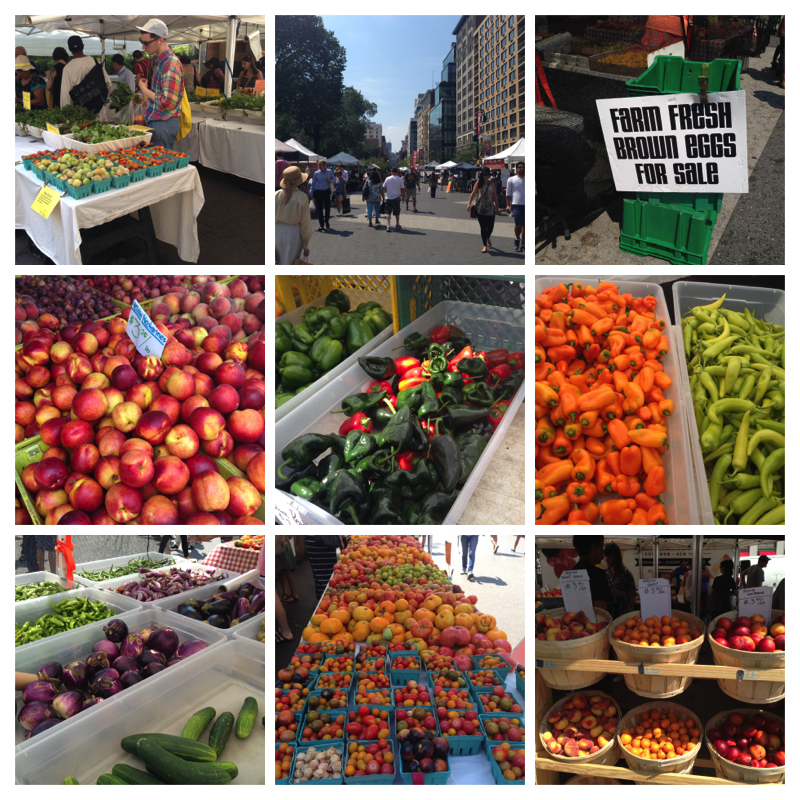 Located in the heart of New York City, almost every New Yorker has picked up something or the other from the Union Square Greenmarket, which boasts of fresh fruit, veggies, artisan breads, jellies, jams, cut flowers. eggs and even meat. This market started in 1976, is held year round- come rain or shine, every Monday from 8.00 am to 6.00 pm, and is also open on Wednesdays, Fridays and Saturdays. We made a morning of it, by taking our 3 year old niece to the playground next door (which is rated one of the top 50 playgrounds in the US). A feast for the eyes and the tummy! Note that prices differ stall to stall, we paid $2.99 for a pound of poblano peppers, while another stall sold the same thing for $6.00 a pound. Go figure! Be sure to check out the cooking demonstrations for affordable meals for four at the manager’s station. Most vendors offer free samples of he season’s finest fruit and veggies. I tried the duck salami, and it was succulent. I can tell you that the fruit was fresh, the corn was super sweet, the bread was worth every bite and honestly, I’d rather go here than directly to a farm. Would I lug all this stuff and take a train again? I’m afraid not! Looks delicious! That produce makes me want to cook and cook and cook, and eat and eat and eat! Really, it is one of the great joys in life, I think! My husband thinks so too! I’ve walked through this on my way to somewhere and it is impressive. It’s fun but given that I usually buy more than I can carry- not the best option for me!